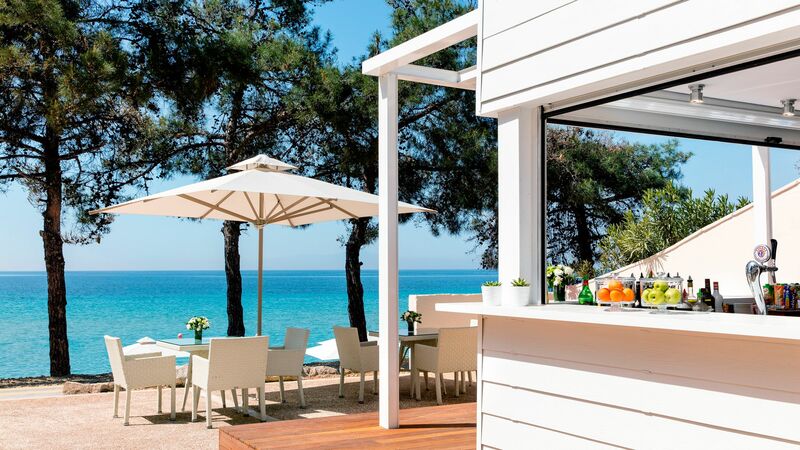 Ikos Oceania is set on a beautiful private beach on the Halkidiki peninsula in Kassandra. It is only a ten minute walk from Nea Moudania, a beautiful town where you can explore the local markets and harbour together. 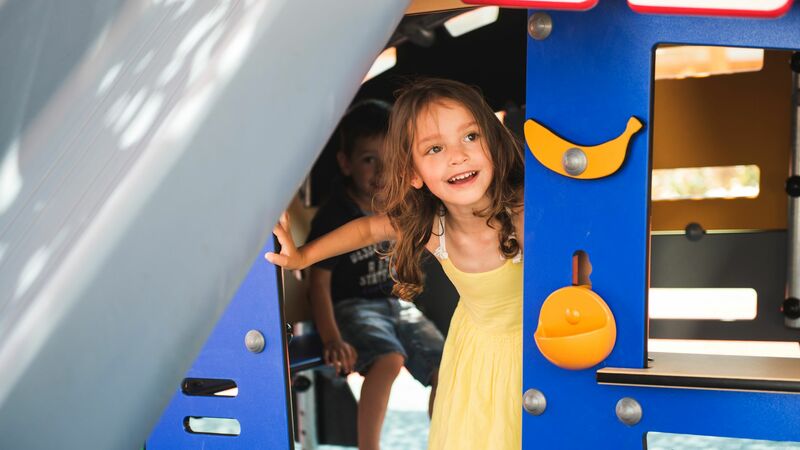 Offering fantastic facilities and amenities you’re sure to create lifetime memories for the whole family. 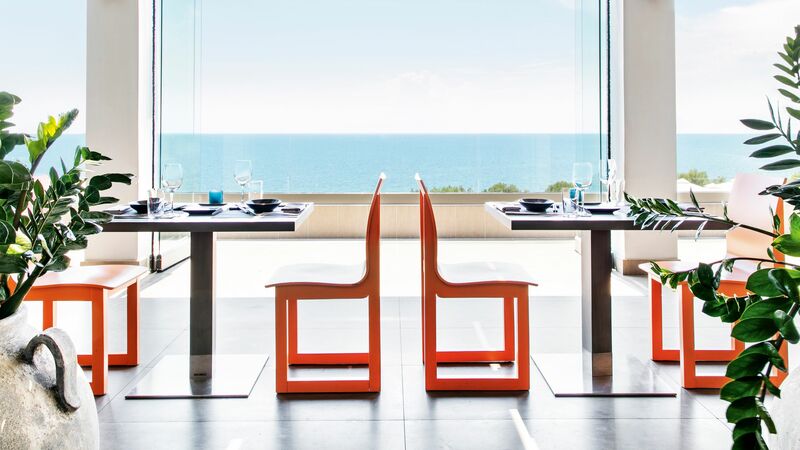 Ikos Oceania is great for couples too as there is something about the elegance which brings both families and couples to its beautiful and luxurious surroundings. The hotel is beautiful and the service is above exceptional. Enjoy à la carte restaurants and an incredible wine list, including an Italian restaurant run by a Michelin star chef with fantastic food and a unique menu. Entertainment and activities are extraordinary, with the majority included in the Infinite Lifestyle™ option. You can relax in the haven of the Parisian spa and adult only swimming pool and try rejuvenating activities like yoga, while the children have fun in their own lagoon style pool. The adventure is endless for all ages. From mountain biking to Greek dancing, you and the children will come away feeling truly revitalised. Hotel child prices apply to ages 2–11 years. The hotel has 290 beautiful appointed rooms and suites across 15-acres of elegant gardens. 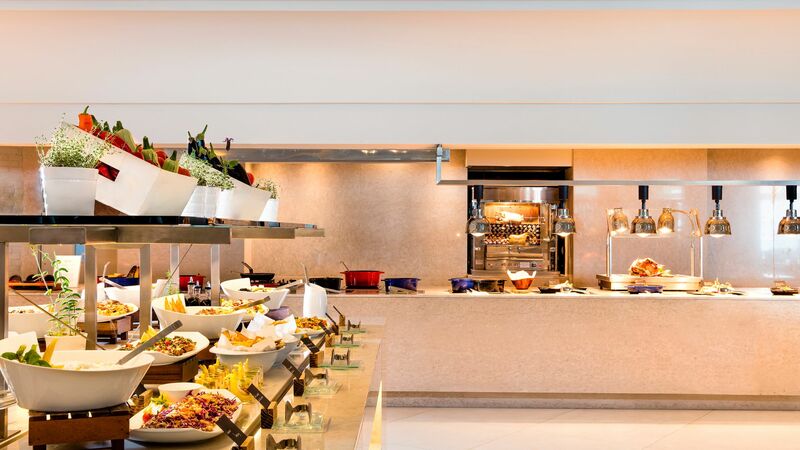 Infinite Lifestyle™ – Breakfast, lunch and dinner in Flavors main themed buffet restaurant. 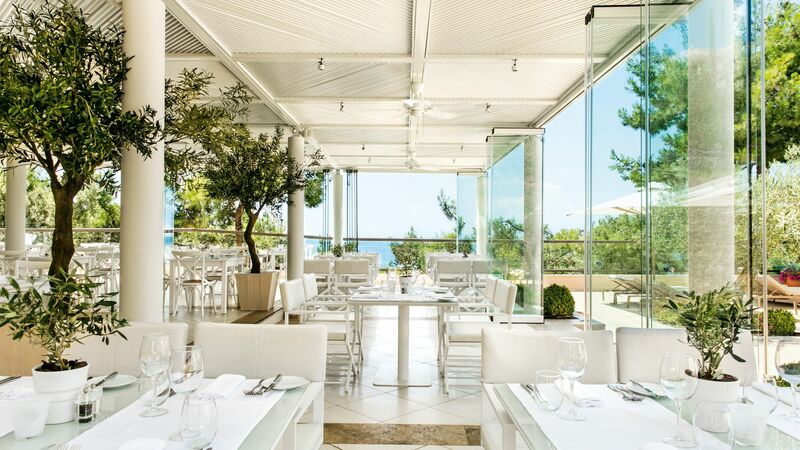 Dinner is also available in the à la carte restaurants – Ouzo (Greek), Fresco (Italian), Anaya (Asian) and Provence (French) (subject to availability), or dine out in affiliated local authentic restaurants. 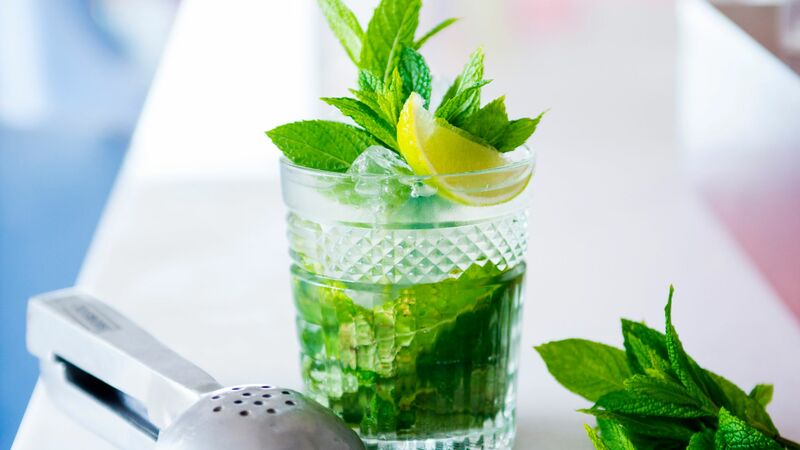 Midday snacks, afternoon coffee, sweets and ice cream, non-alcoholic and branded alcoholic drinks between 10:00–02:00. 24-hour room service. Fully stocked mini bar and Nespresso® coffee machines in all rooms. Entertainment programme with West End style shows and daily animation. Use of tennis and squash courts. Mountain biking and non-motorised watersports. Use of indoor pool, steam, sauna, and fitness centre. An atmospheric French à la carte restaurant turning dinner into a special occasion. There is a romantic space offering a peaceful dining experience for couples. Reservations are required for dinner. Children’s menus are offered and freshly prepared baby food is also offered upon request. Shorts and flip flops are not permitted during dinner. Fresco is an Italian à la carte restaurant with a refined atmosphere, serving the freshest ingredients and an authentic taste of Italy. The menu has been prepared by a celebrated Michelin-starred chef. Reservations are required for dinner. Children’s menus are offered and freshly prepared baby food is also available on request. Shorts and flip-flops are not permitted during dinner. Try delicious Asian flavours indoors or al fresco on the balcony in this à la carte restaurant which serves delicious, flavoursome dinners. 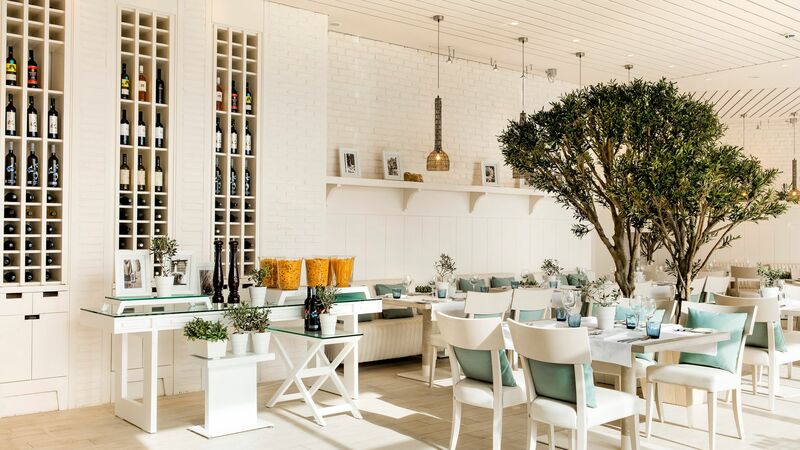 Ouzo is a delightful open air à la carte restaurant offering breakfast, lunch, dinner and snacks throughout the day with a combination of traditional Greek and Mediterranean delights. The main buffet restaurant has stunning sea views over the Aegean Sea and serves a host of Mediterranean dishes for guests to enjoy. This restaurant offers a quiet zone for guests over 12 years. An amazing bar located at the main swimming pool. Aqua Pool Bar is open for drinks during the day. The resort's beach bar is open for drinks during the day. Relax as you unwind and listen to the ocean waves. The Deluxe Collection Bar is an incredible experience for Deluxe Collection guests and is open until the early evening. The hotel's main bar is open all day for drinks. Astra Club includes wonderful entertainment and late night dancing and offers a variety of drinks. Helios Bar is a relaxing adults only bar which provides the perfect setting for drinks during the evening. 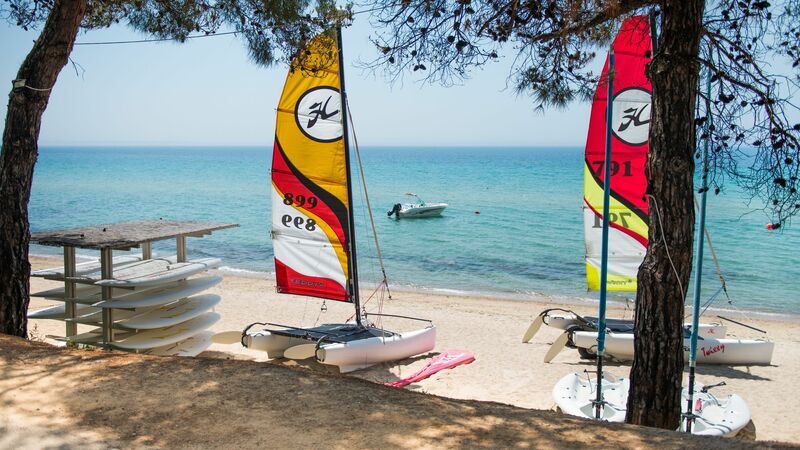 Ikos Oceania offers its own private 350m long sandy beach. There are complimentary sun beds and parasols available, as well as a lounger service allowing you to order snacks, fruit and drinks straight to you. The 'babewatch service' allows expert staff to look after children while you enjoy a break and is complimentary for up to 30 minutes. A reserved area is available for Deluxe Collection guests. 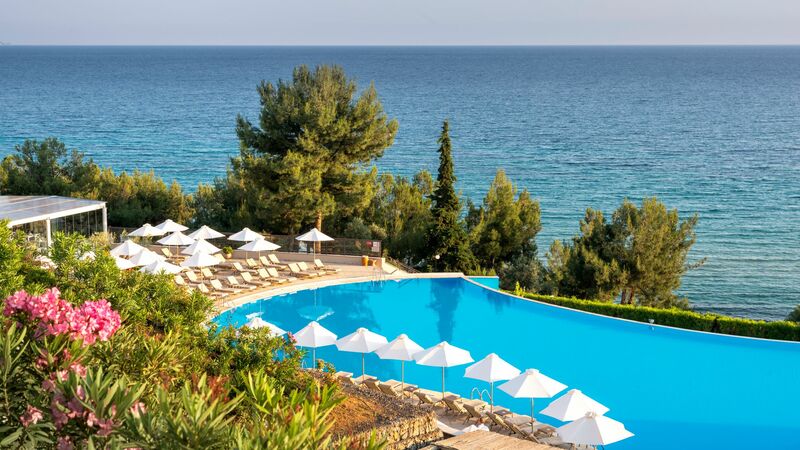 The Ikos Oceania offers guests a pretty freshwater lagoon style swimming pool, as well as a separate children's pool of and a shallow baby pool. There is also a private freshwater swimming pool for Deluxe Collection guests, and the spa has a heated indoor pool. A lovely crèche operated by childcare professionals aligned with strict British standards. This is an exceptional service run by experts in childminding. Open: 10:00- 13:00, 13:00-15:00 and 15:00-18:00. Payable locally. Due to limited spaces, it is strongly recommended that you pre-book. 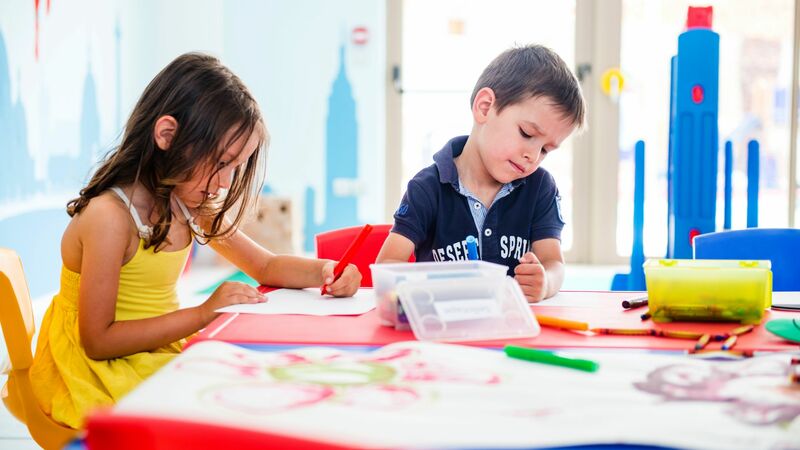 The mini club will be an adventure in itself for your child. There are many activities available, including sandcastle days, face painting, disco, arts and crafts and treasure hunts. Available during high season and offering many refreshing activities for teens, including adventure sports. Relax your mind, body and spirit in Parisian luxury with Anne Semonin products. 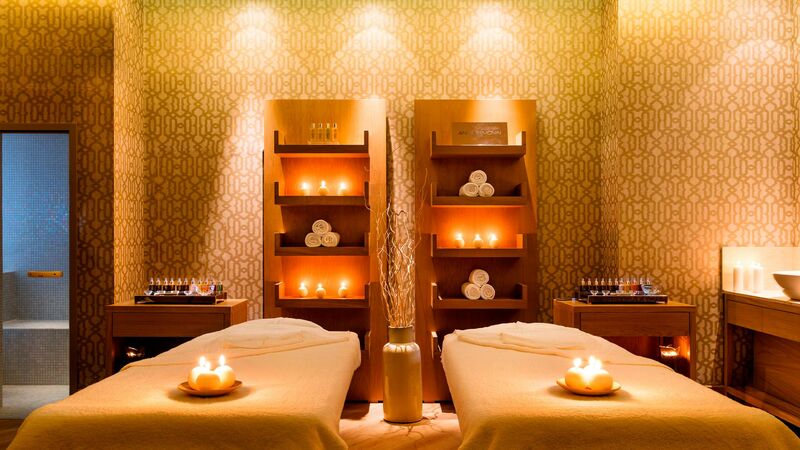 Services include an indoor heated pool, beauty treatments and a range of massages. All while overlooking the Aegean Sea. Guests of the Ikos Oceania can keep fit and active during their stay, with state of the art cardio and strength machines available to use. The hotel has two excellent tennis courts and offers its own equipment. There are live theatre and West end shows, beach parties and live music available on selected evenings. There are also shows just for children. Ikos Oceania can be found in Halkidiki, along Greece’s south east coast. 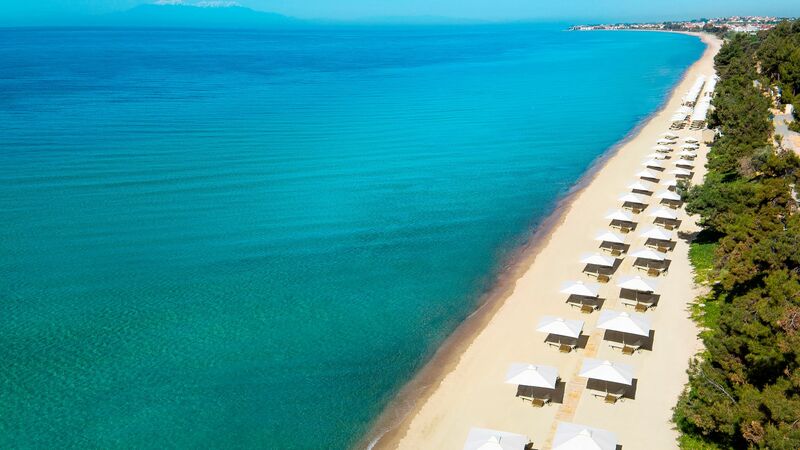 It’s set on a long, golden stretch of sand where you can spend your days unwinding, as well as being close to the lively town of Kassandra. Here you’ll find lively bars and restaurants, and the opportunity to enjoy a range of watersports, including snorkelling and scuba diving. When it comes to culture there are some excellent tavernas to try, as well as smaller fishing villages which can be explored by car. Kassandra has an open air ancient amphitheatre, while those wanting to see the beautiful surrounding landscapes can hike or mountain bike. Ikos Oceania is a 40 minute drive from Thessaloniki Airport. Superior Double Rooms Side Sea View measure 30m² and offer stylish accommodation with excellent facilities including a Nespresso® coffee machine and luxury Anne Semonin bathroom amenities. They have a furnished balcony or terrace with side sea views. The image used is of a Superior Double Room with Sea View. Superior Double Rooms Sea View measure 30m² and are stylish, comfortable and offer an excellent range of amenities including luxury Anne Semonin products in the bathroom. They feature a furnished balcony and a sea view. Junior Suites Sea View measure 35m² and have a combined bedroom and living area as well as a furnished balcony or terrace with magnificent views over the Aegean Sea and Mount Olympus. Junior Suites Private Garden and Sea View measure 35m² and have a combined bedroom and living area which leads out to the private garden and terrace area. The bathroom features with bathtub, shower, hairdryer and bathrobe and slippers. Family Rooms Sea View Interconnecting are perfect for a larger family and measure 60m². Rooms have a furnished balcony with views of the sea and bathroom with bathtub or shower. Panorama Junior Suites measure 35m² and have a combined bedroom and living area as well as a furnished balcony or terrace. They are allocated in the building closest to the beach offering the best sea views. One Bedroom Family Suites Sea View are spacious suites and consist of a stylish living area and a separate bedroom. 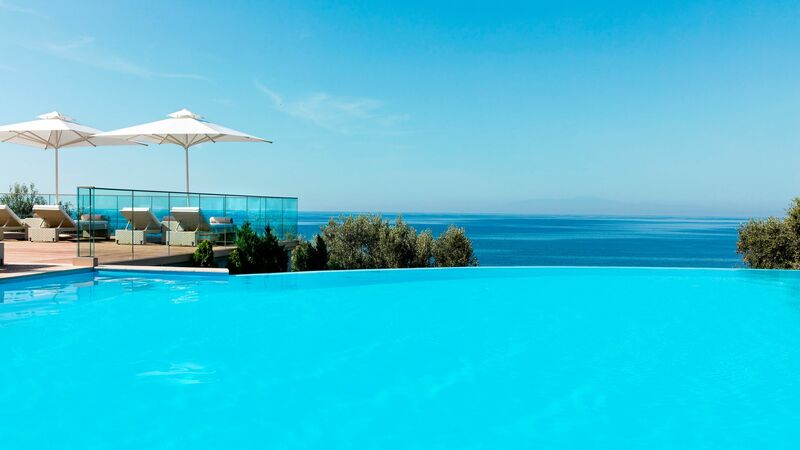 They have a furnished terrace with two sunloungers and views over the Aegean Sea and Mount Olympus. One Bedroom Family Suites with Private Garden and Sea View are spacious suites and consist of a stylish living area and a separate bedroom. They have a furnished terrace leading to the private garden furnished with two sunloungers and views over the Aegean Sea and Mount Olympus. 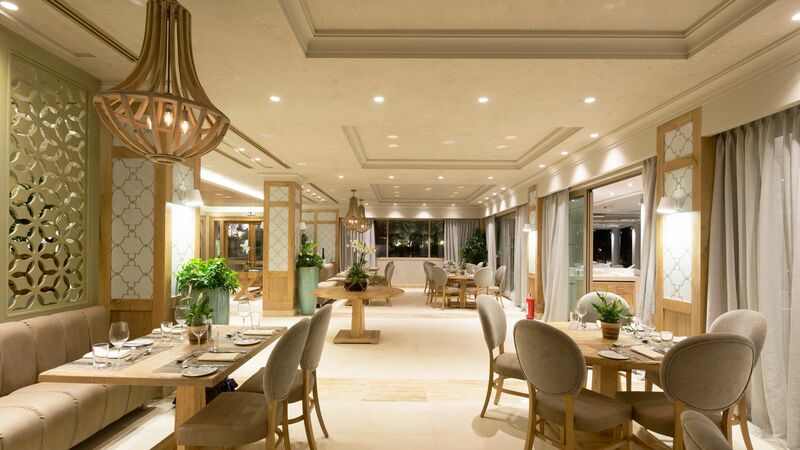 Located in a separate Deluxe Collection building, these open plan junior suites have elegant contemporary style décor with a spacious bedroom and living area and a furnished balcony or terrace with views over the Aegean Sea, Mount Olympus and the private Deluxe Collection illuminated swimming pool. Located in a separate Deluxe Collection building, these open plan junior suites have elegant contemporary style décor with a spacious bedroom and living area and a furnished balcony or terrace with views over the Aegean Sea, Mount Olympus and the private Deluxe Collection illuminated swimming pool. This junior suite also features a private garden. Located in a separate Deluxe Collection building, these suites have elegant contemporary style décor with a spacious living area and separate bedroom with a furnished balcony or terrace with two sunloungers and views over the Aegean Sea, Mount Olympus and the private Deluxe Collection illuminated swimming pool. These extensive suites feature a dining and living room area, bedroom with individual bathroom with a bath and dressing area, children's bedroom with a shower room, kitchen facilities and a furnished balcony with two sunloungers and views over the Aegean Sea and Mount Olympus. Guests can use the deluxe pool and pool bar and receive a bottle of wine, flowers and fruit in their room on arrival. These extensive suites feature a dining and living room area, bedroom with individual bathroom with a bath and dressing area, children's bedroom with a shower room, kitchen facilities and a furnished balcony with two sunloungers and views over the Aegean Sea and Mount Olympus.This two bedroom family suite also features a private garden. Double Rooms measure 30m² and are stylishly decorated. Rooms have a private furnished terrace and bathroom featuring a bathtub or shower. Spacious and airy with floor to ceiling windows the room can accommodate two adults. These rooms offer stylish accommodation with excellent facilities including a Nespresso® coffee machine and luxury Anne Semonin bathroom amenities. They have a furnished balcony or terrace with side sea views. These stylish and comfortable offer an excellent range of amenities including luxury Anne Semonin products in the bathroom. They feature a furnished balcony and a sea view. Save up to 20% discount on the hotel price for holidays between 05 - 14 October 2019. Save up to 10% discount on the hotel price for holidays between 21 April - 18 May 2019 & 06 - 15 June 2019 & 26 June - 08 July 2019 & 26 August - 05 September 2019 & 20 -27 September 2019. Save up to 5% discount on the hotel price for holidays between 06 - 25 August 2019. Honeymoon couples receive a romantic candlelight dinner, sparkling wine on arrival and a farewell gift. A minimum stay of 5 nights is required, and a wedding certificate must be presented upon check in. This Hotel defies the laws of Tourism, as we know them. 100% attentive, first class service all the time. Everything ticks 100% all the time! No faults to be found. I truly do not understand how its done. Our tips: make sure to order a mini minor car early as possible, since they run out. If you?? ?re trying to avoid children shouting at restaurants order as late as possible.our favorite was Provence for all meals. Make sure to make reservations early as possible, even before arrival.